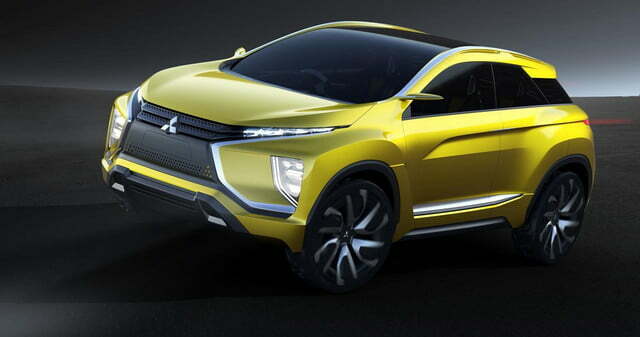 Is Mitsubishi’s Tokyo-bound eX concept a preview of the next Evolution-badged model? Confirming a recent rumor, Mitsubishi has announced it will introduce a new design study at the Tokyo Motor Show that will open its doors later this month. 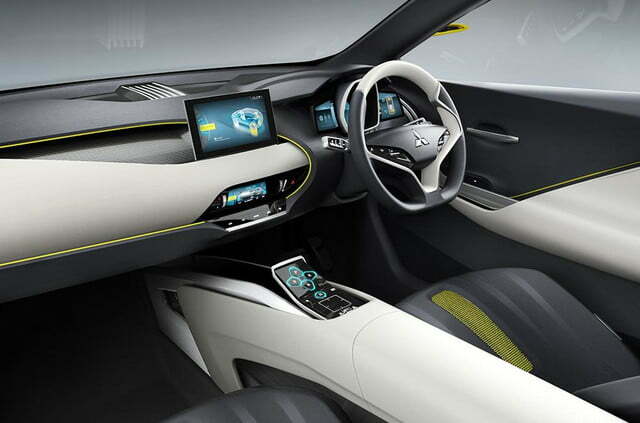 Called eX, the concept allegedly provides insight into the brand’s long-awaited Evolution-badged crossover. The eX’s front fascia is characterized by an evolution of Mitsubishi’s Dynamic Shield design language. It gets thin, swept-back headlights, a twin-slat grille, and a pair of huge clusters that incorporate both the daytime running lights and the fog lights. Out back, the crossover gets tail lamps that stretch from the belt line all the way down to the rear bumper, a styling cue borrowed from the new Pajero Sport that was recently launched in a handful of overseas markets. The cockpit is accessed via suicide doors, an unusual feature for a Mitsubishi. The car offers space for up to four passengers on individual bucket seats, and a futuristic dashboard with a large screen that runs the infotainment system, a touch-sensitive center console, and a digital instrument cluster. 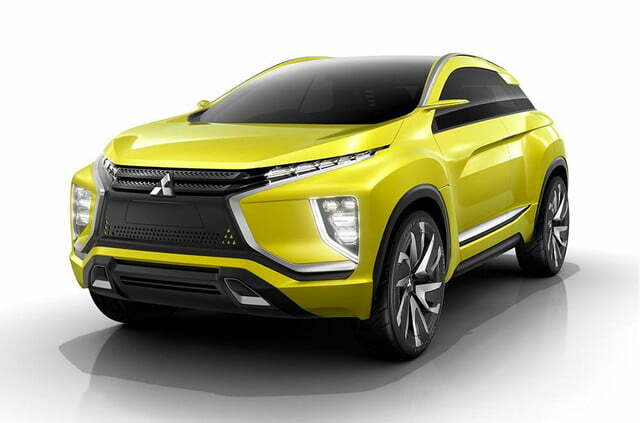 All told, the eX stands out as one of the sportiest and most technologically advanced concepts Mitsubishi has ever built. Releasing vague technical details seems to be the trend at this year’s Tokyo Motor Show. Accordingly, Mitsubishi promises the eX is powered by a state-of-the-art all-electric drivetrain, but additional information — such as what components it’s made up of and how much power it generates — hasn’t been published yet. 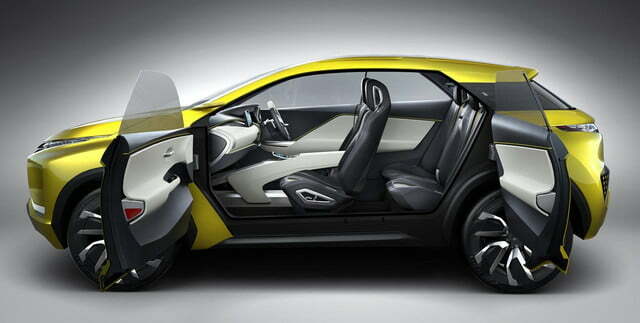 What we do know is that the concept is four-wheel drive, and that it can drive autonomously in certain conditions. 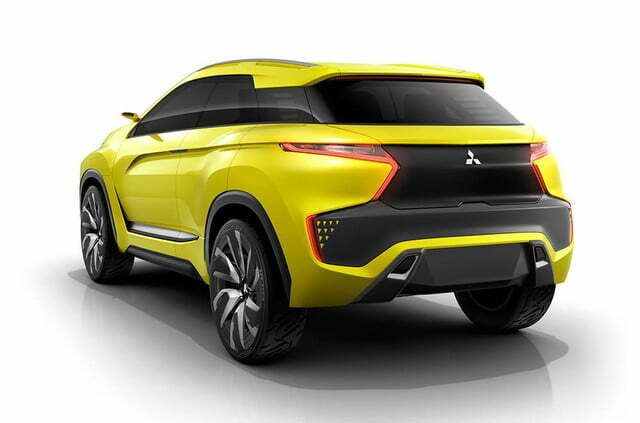 We’ll learn more about the Mitsubishi eX concept when the Tokyo Motor Show opens its doors later this month. If it’s approved for production, the crossover will be toned down and added to the Japanese car maker’s lineup in 2017 at the very earliest.